Injuries on the job are very common. Work injuries can result from a specific incident or can be brought on from repetitive work activities or toxic exposure from a job site. When a work related injury occurs in California, that injury falls under California workers compensation law. California workers compensation law mandates that all employers in California have workers comp insurance that gives certain medical benefits and monetary compensation for work related injuries. Those injured at work have the right to file a claim for workers compensation with their employer’s workers compensation insurance company. Sadly, the insurance company denies many claims or administers their claims in a way that short-changes the employee. In such situations, Fontana California workers compensation lawyer Alexander Napolin can step in and be a strong voice on the injured workers side. Mr. Napolin is a strong advocate who fights for maximum compensation and also provides counsel and guidance to the injured worker throughout the claims process. In the event you have suffered a work related injury, you can call Mr. Napolin at 1 (909) 325-6032 for a free legal consultation. Mr. Napolin will come to the phone personally to provide you with the legal advice you need to decide how to pursue your workers compensation claim. That’s right, a free and confidential legal consultation directly with an experienced Fontana California workers compensation lawyer! Work Injury Attorney Help In Fontana California! By calling 1 (909) 325-6032, you will get Mr. Napolin on the phone to speak with you for free about your accident injury. Or, if you prefer, you can fill out a case evaluation form at WorkersCompLawyerIE.com and Mr. Napolin will call you within 12 hours to discuss your accident injury case! All consultations are free, confidential and are obligation free, meaning there is definitely no pressure to hire Mr. Napolin or file a claim! 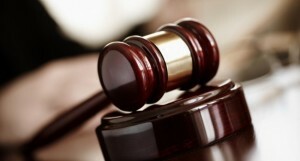 It is always important to learn your legal situation before you file any lawsuit, and that’s what you can do by getting Mr. Napolin on the phone today! And, if you choose to get Mr. Napolin as your advocate for your workers comp claim, you will only pay attorneys fees at the end of your case when you settle or win your case. All workers compensation cases are taken on a contingency fee basis, meaning that attorneys fees are paid as a percentage of recovery at the end of the case. Mr. Napolin has advocated for thousands of workers in California and looks forward to strongly advocate for you as well! Do not hesitate to get him on your side so he can fight to get you the justice and the maximum compensation under the law! 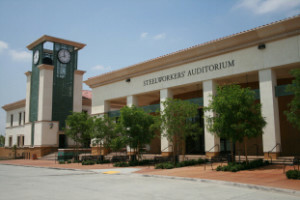 Get the help of a Fontana CA Workers Compensation Lawyer and find out if you qualify for compensation benefits for either work injury, illness related to work, loss of pay, work accident injury, construction accident, discrimination, wrongful termination, wage and hour issues, pain and suffering, negligence, and medical bills. 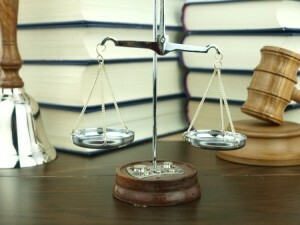 A Fontana Work Injury Law Attorney can help you today on your specific legal issues. Call Today!